A competition has been launched which gives entrants a chance to win Johnston Lodge, Laurencekirk, along with a year’s paid running costs. The competition requires a Christmas-themed crossword to be completed and submitted along with the entry fee, £5 of which will go to children’s charity The Yard. There are also three runners-up prizes of £10,000. There are 150,000 entries available, and the competition ends at 1 minute to midnight on 1st December 2017. 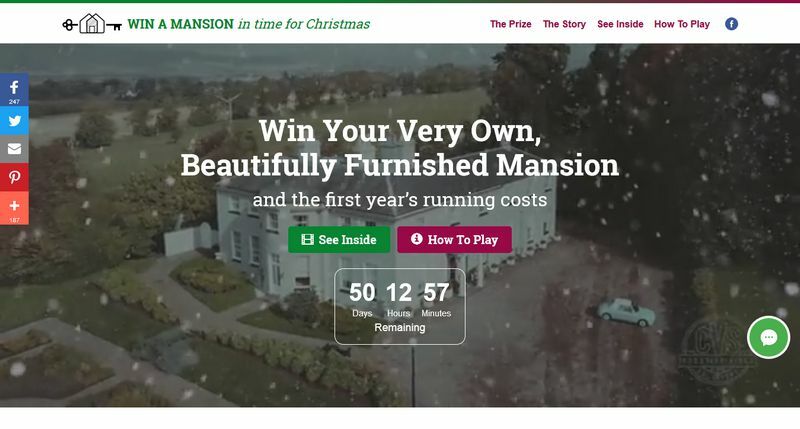 To find out more, and to enter, visit the “Win a Mansion for Christmas” website or click the pic below. Is this raffle still running I see the property advertised by Reid estate agents Need clarification before I enter . Good morning, will entrants be notified who has won the prizes now that the extended date has been passed ? Thank you and well done for raising a substantial sum for the cause. Also HURRAY !!! to those who have won. This win a mansion competition was a huge con. The competitions commission and fraud squad should be informed of this and an investigation for fraud should be conducted. Many people complained about little or no information or confirmation of their payments to enter this competition, with little or no information on the number of actual tickets sold at any point. Not only did the owner receive entrant monies directly but the competition was also hosted on Eventbrite for the purchase of extra tickets at £25, with people never receiving any clarification or updates from the competition organisers or Eventbrite about progress or winners. At one stage the mansion owner even quipped that she had never confirmed ‘which Christmas’ the mansion draw would be won by! Incidentally, two of the £10,000 runner up winners both lived in Laurencekirk, which just happens to be the same village where the mansion is located!! I smelled a rat within months of entering this competition and will never enter another like it.